Most of us have tried at least once to go on a diet, trying to lose some pounds. Some of us have done it while others have not. However there is no reason to be discouraged and give up, the following 11 tips can help you achieve very good weight loss results. You can always count the calories of your meals, but are you doing the same with snacking? Your colleague’s piece of cake and the few chips you were offered are full of calories, which will load you with pounds over time. But while the mindless snacking can ruin your diet, the right snacks can do just the opposite. People who consume small meals and healthy snacks, avoid unhealthy foods and overeating, they will keep their metabolism vigilant and they are more likely to control their hunger. Therefore, it is advisable to prepare your own snacks containing protein and fat, for example nuts, dried fruits or a toast with cheese-turkey in order to keep you full. Half of your plate should be filled with vegetables while the other half should consist of equal amounts of proteins and carbohydrates. A good idea to increase the amount of vegetables you get, is to serve different kinds of vegetables, as the variety often makes us eat more. “Why do I have to increase the amount of vegetables I eat in order to lose weight?” as studies have shown, people who consume five or more servings of fruits and vegetables a day lose weight more easily. See also: Should I count carbs to lose weight? Soups are ideal for your dinner, not only because they keep you warm, but also because they keep you full without filling you with unnecessary calories. In fact, you can eat a light soup at the beginning of your meal, since it will help you to limit the quantities you will eat next. Of course, you shouldn’t eat soups that contain heavy cream because they are rich in fat and calories. See also: How much fat should I eat? There is no need to ‘stop eating’ food to restrict the amount of calories you take. Small replacements on your plate can have the results you desire. For example, prefer dairy products with low fat, mustard sauce or yoghurt instead of ketchup and mayonnaise, turkey instead of ham, boiled eggs instead of fried eggs. A lot of people tend to overlook the calories hidden in beverages. This is a huge mistake if you consider that some coffees and alcoholic beverages have more than 300 calories. The worst, though, is that calories from drinks do not help in controlling hunger. So don’t expect to eat less after a high-calorie drink. 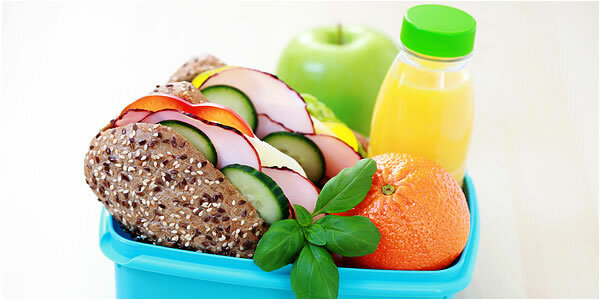 Replace the sugary drinks with regular water or soda and add some lemon or frozen fruit for flavor. Is drinking alcohol good for you? The portions in restaurants are bigger than what you need, so you eat more even if you’ve had enough. What to do? Share your favorite temptation with someone else and order instead of a fattening main dish a lighter appetizer. Also, many restaurants nowadays have a children’s menu or smaller portions (lunch size). Alternatively, just divide your food, and ask for the second half of it to be made a packet for home. Your mom used to tell you not to play with your food, but this is a tip that you don’t need to follow now. If you are used to eat your food quickly and greedily, it’s time to change this habit. Try to sit at the table for 20 minutes and chew slowly. Train your senses to enjoy the food, give your body the time it needs to show you that it is full, and see the pounds going away. The visual stimuli does play an important role in the enjoyment of food and thus in the feeling of satiety. Serve your food in smaller plates and use tall and thin glasses for drinks. The eye will “have enough” and the stomach will be fooled, since the portions will look richer. If you know that you will not be able to resist crunchy crisps and chocolates, then do not have them in your kitchen cupboard. Also, if you intent to go out with your friends or family and you know that you won’t be able to control yourself, just decide in advance what you will eat and try to stick to your decision. Whether it’s a friend who supports you or your diary. Keeping a record of your eating habits takes only a few minutes, but it can double the chances of success for weight loss because it helps you to identify your mistakes and improve your eating habits. When you manage to stop drinking 3 refreshments per day or to spend the whole day without overeating, then it’s time to celebrate your success. When you make healthy choices and achieve your short-term goals without resorting to exaggeration and unorthodox diets, “celebrate” it; for example go out for a coffee with a friend, make a pedicure or enjoy a small piece of cake.